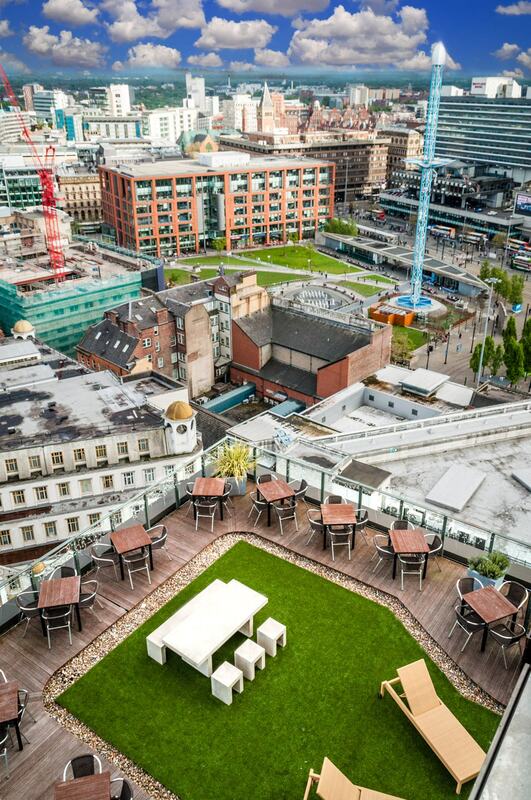 If you want a venue with a view in Manchester, you could perch on a tiny apartment balcony or rooftop bar and hope for a measely glimpse of something beyond the office block next door. 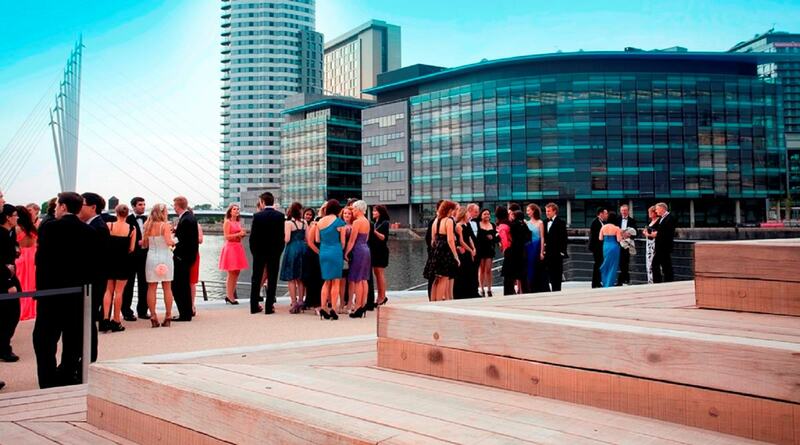 But if you want stunning cityscapes and dazzling waterfronts, check out five of Manchester’s best venues with a view. The Imperial War Museum North is one of the jewels in Manchester’s cultural crown – a great gallery and education space in Salford Quays, not to mention an architectural marvel. But it’s also home to one of the most fantastic views in the whole city. The museum’s Quayside space occupies a gorgeous waterfront spot, offering unrivalled views across the water and the glittering quays – especially lovely at night. It’s available for graduation balls, birthday parties, gala dinners and corporate celebrations, with room for up to 700. Opened in January 2012, the AJ Bell Stadium is based in Barton-upon-Irwell, Salford. The state-of-the-art 11,500 capacity stadium has hosted a range of sports, events and conferences. With its floor-to-ceiling windows that stretch the length of the 86m room, the venue’s main suite offers extraordinary views of Greater Manchester (and the pitch!). Drop down projectors, PA systems, movable interior walls and space for a total of 930 people make the stadium’s suite a wonderful spot for all sorts of ceremonies, parties and corporate events. Urban cityscapes are great for an impressive view, but what about something a little more unusual? Chill Factore hosts the UK’s longest indoor ski slope, with 1,632 tonnes of real snow, a 12m climbing wall, and a themed Alpine street. As well as the view of the ski slope, there’s a wide range of quirky meeting rooms and spaces, so your party guests or colleagues can learn to ski, sledge, or snowboard for a really memorable event. Recently transformed into the National Football Museum, this remarkable sloped building is situated in Manchester’s Cathedral Quarter. The Suite on the top floor offers beautiful views across Manchester’s urban skyline and into Salford and the Peak District beyond. If you or your guests ever tire of gazing at it, you can try your hand at the penalty shootout too. One of the hidden gems of the city, the Light Aparthotel towers over the neighbouring buildings offering extraordinary views whichever way you look. 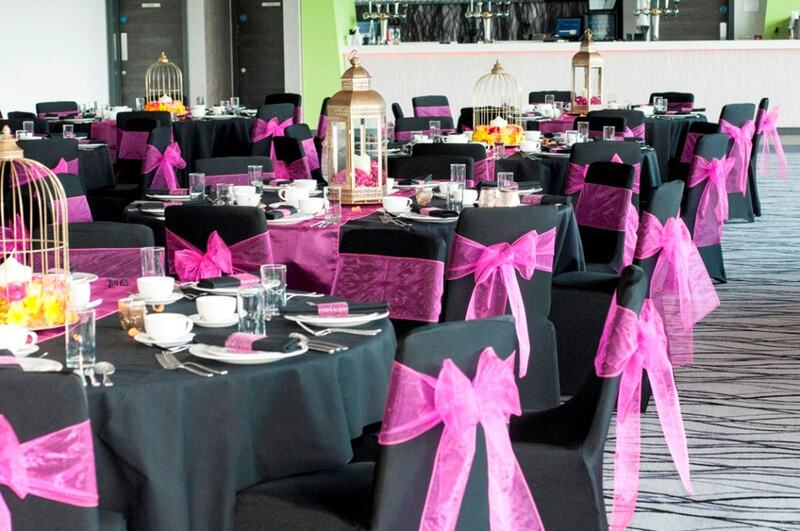 The Penthouses are flexible spaces perfect for meetings, events and weddings. And if you’re looking at this picture thinking it might be getting a little chilly up there, just remember you’ll be admiring the view from the hot tub (ok, maybe not during the meetings).